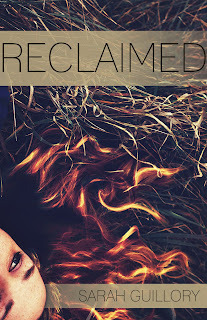 Sarah Guillory: RECLAIMED Pre-Order Giveaway! Reclaimed releases in just over a month, and while that thought often induces flailing and random hand flapping, more often than not, it just makes me really excited. I know many of you have already pre-ordered the book. THANK YOU SO MUCH! It means a lot that people are excited and ready for Reclaimed to be released. If you haven’t yet pre-ordered, it’s not too late. Reclaimed is available in both paperback and e-book. The buy links will be at the bottom of this post. We have some amazing prizes for those of you who pre-order the book. Just send an email confirmation of your pre-order to shcpreorder@gmail.com. This can simply be a screen shot of your receipt (minus your credit card info). Once new levels of prizes are unlocked, you remain eligible as winners will be picked using a random generator. Thanks to everyone who has already sent in their preorder confirmation. Signed swag will be sent your way soon! (Say that three times really fast.) It’s time to announce the other prizes up for grabs. Unfortunately, this contest is open to US residents only, as two of the prizes are heavy and I can’t afford to take out a loan for shipping. If, however, you live outside the US and you preorder the book, please send in your email confirmation and I will send you signed swag! The final prize we are giving away is a $100 gift card to a bookstore of your choice. Enough said. The contest ends October 21st. Use the rafflecopter to tweet about and post links to the contest, and don’t forget to send in your release-week order confirmation (which is worth 10 entries)! *If you already sent in your pre-order confirmation, you are still entered to win the last remaining giveaway - the giftcard. Continue to tweet about the giveaway for entries. For extra entries, buy RECLAIMED during release week. (Oct. 15-20) Thanks!